Christmas is here! 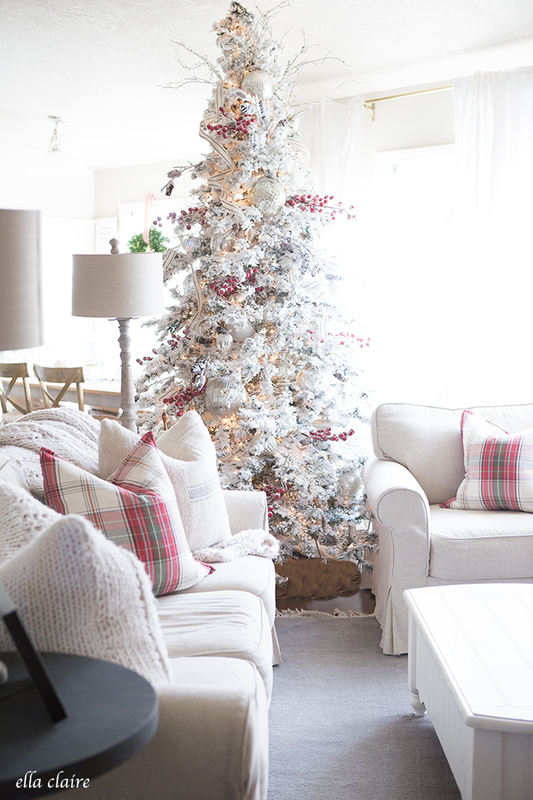 Well…almost here…there’s still time to decorate the tree and to find some cool gifts for the loved ones. 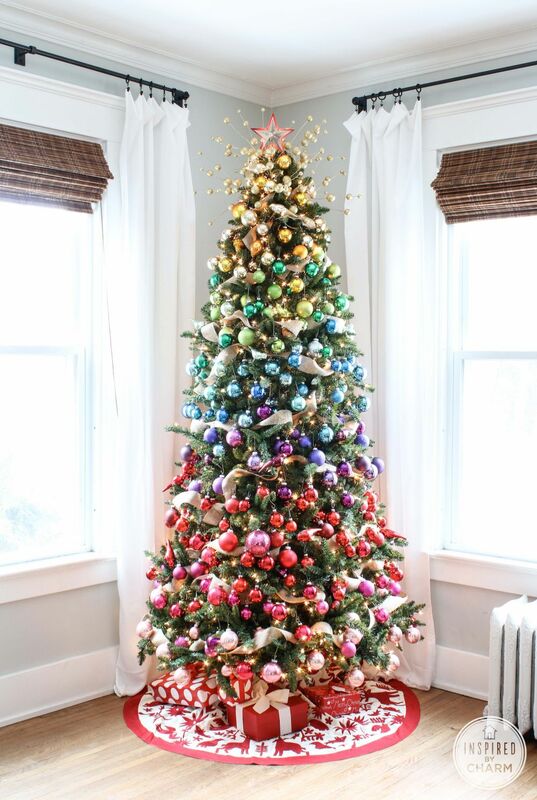 We’re really excited about all of that but especially about the Christmas tree. It’s not just the ornaments that make the tree a center of attention. In fact, the symbolism is the most important element. The whole act of decorating the Christmas tree is exciting. 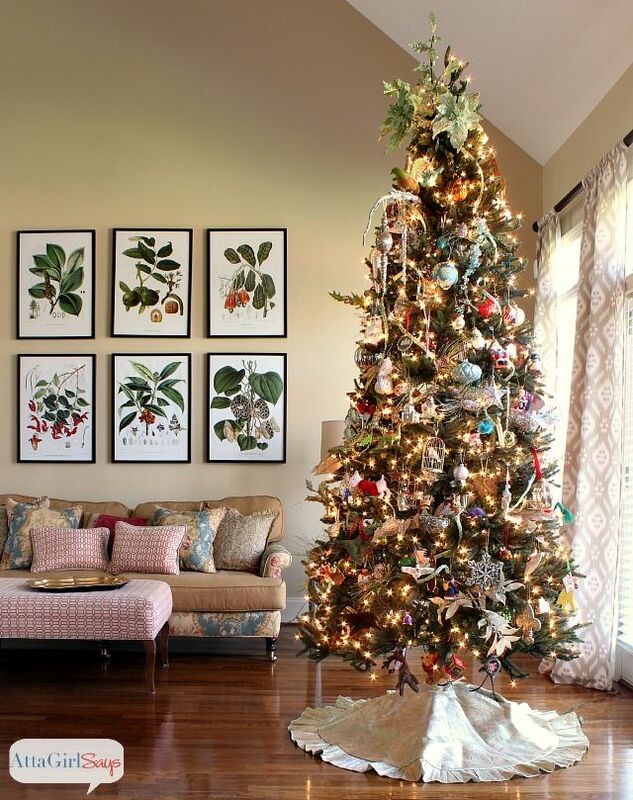 It’s not just about making the tree look beautiful and arranging the ornaments in a particular manner but also about having fun while doing it. It should be an activity shared with friends and family. 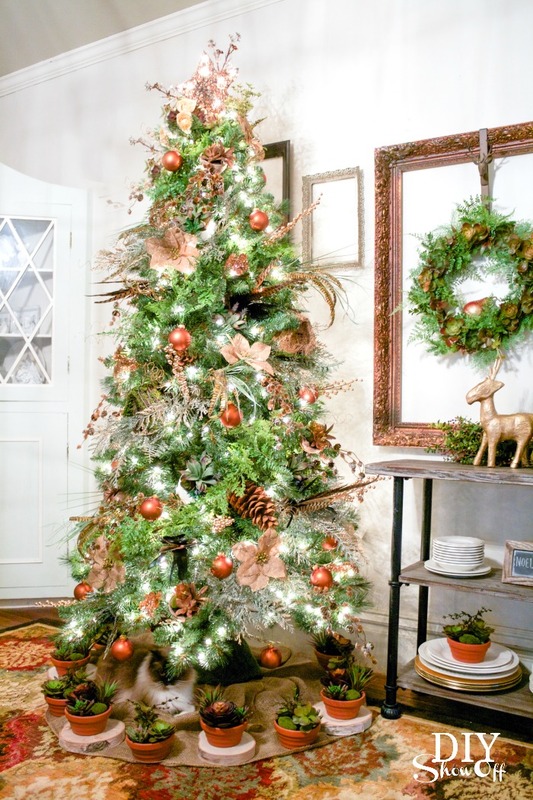 There are tons of great Christmas decorating ideas we’d like to share with you before it’s too late and we’ll start by suggesting an approach that focuses on simple and modest ornaments, like monochromatic decorations and pinecones. 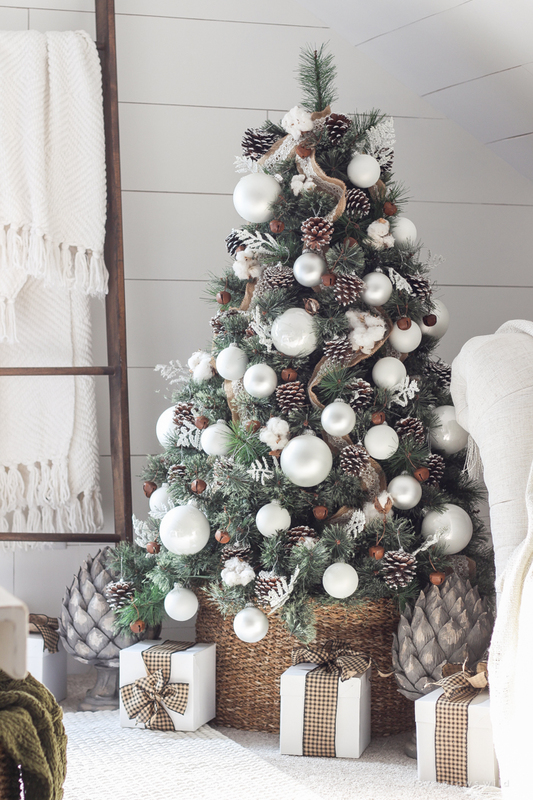 Actually, what we love most about this tree featured on lovegrowswild is the large woven basket which holds it. 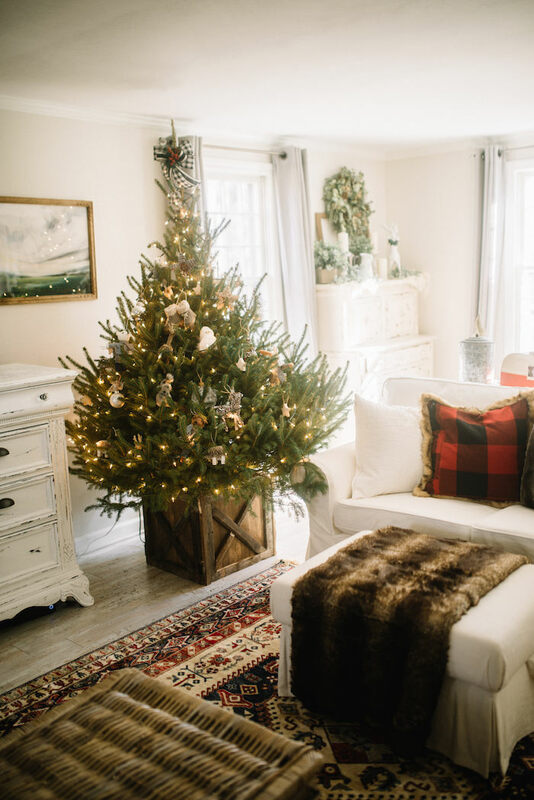 The Christmas tree featured on inspiredbycharm is quite the opposite. 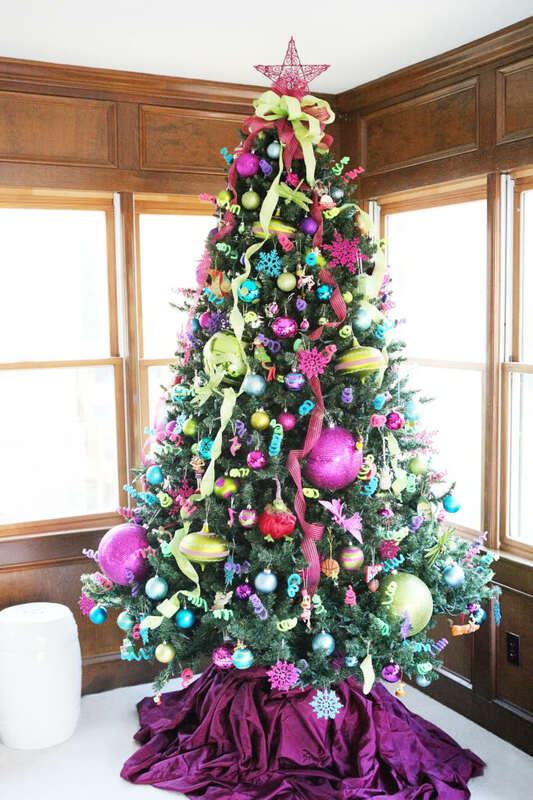 It has ornaments in rainbow colors, arranged in a beautiful gradient starting with gold at the top and finishing with red and pink at the bottom which are also the colors of the circular area rug which frames the tree. 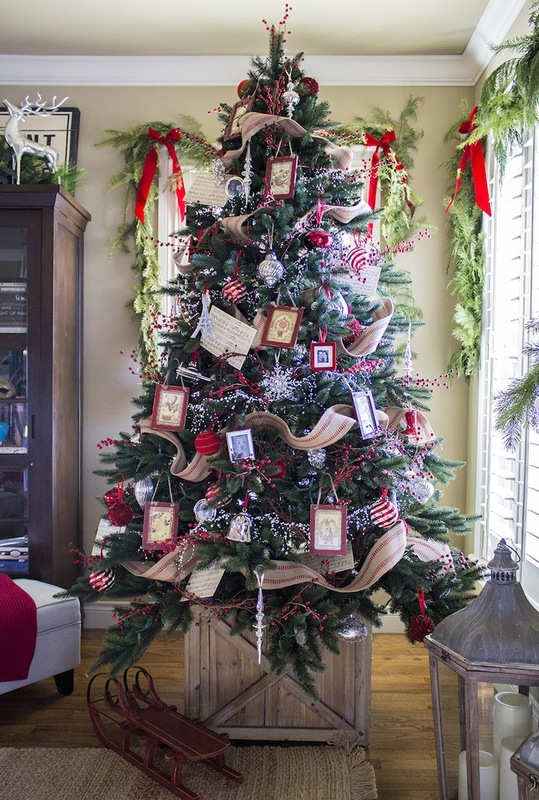 Rustic Christmas trees tend to be the most charming. You can, of course, customize them to suit your own style. You could do that with a chic garland or some awesome decorations like these Marquee light-up monograms that we found on craftaholicsanonymous. The thing that I find most annoying about the whole Christmas tree decorating event is finding a suitable support so the tree can stand up straight and look good at the same time. 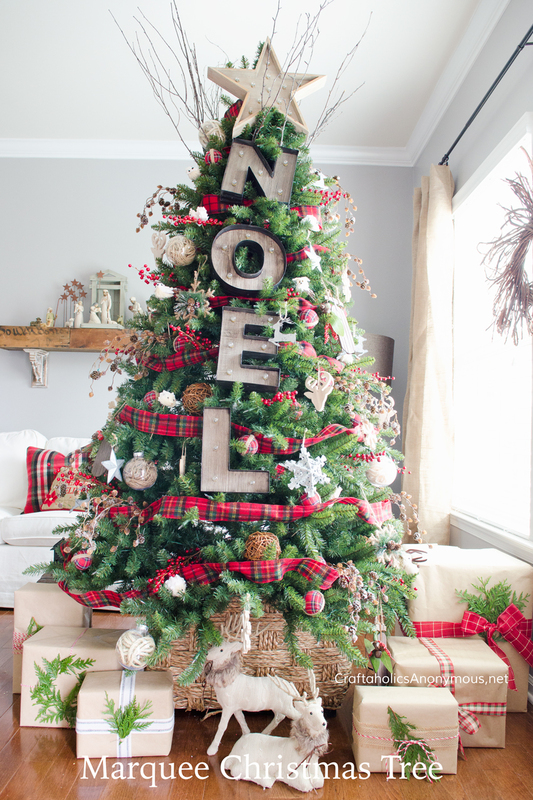 We like the idea of putting the tree in a wooden box. 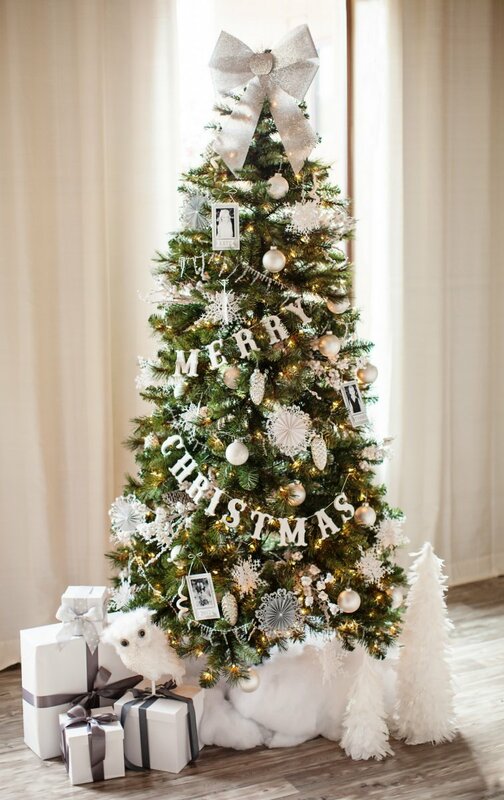 Somehow it makes sense, especially if you want to decorate the tree in a more traditional or classical manner. 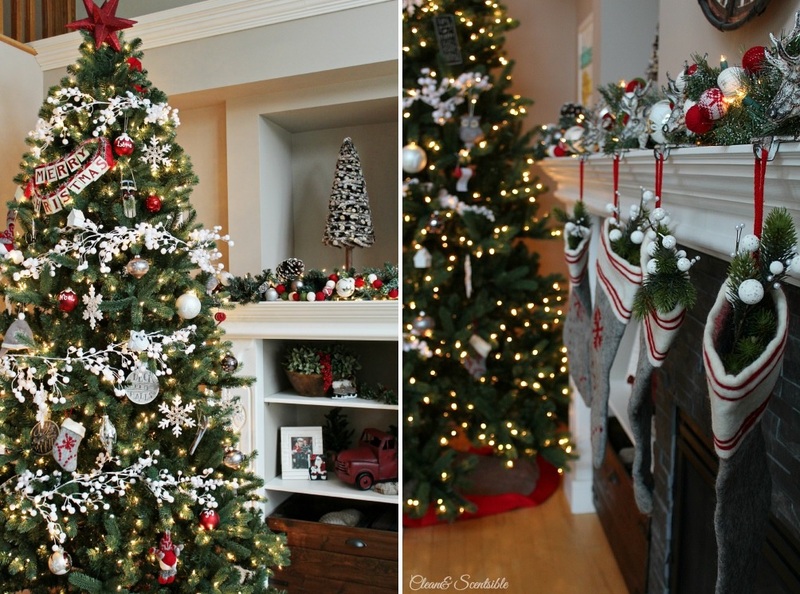 All the ideas we mentioned so far will hopefully inspire you and give you a clear idea of how you’d like your Christmas tree to look like this year. Keep in mind that everything can be personalized so try to find ways to make this project your own.